Lori Wilks has been in education for more than 25 years. 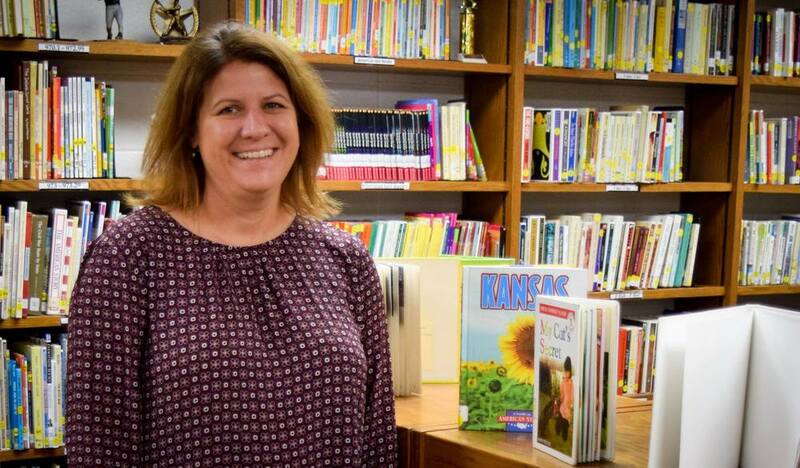 She started as a classroom teacher before becoming a librarian at George Nettels. She possesses a passion for education and the children she teaches. "I always knew I was going into education. I find teaching to be really rewarding. Over the last 27 years, there isn't a day I have not wanted to come to work. I love what I do." "Becoming a Dragon has worked out to be a blessing. I was an elementary teacher in another district and was asked to come to Pittsburg to help students with disabilities in the Lakeside preschool program. I ended up staying!" She never had plans to become a librarian. "I had a student who had cancer. At our first parent/teacher conference, her mom told me her daughter wouldn't make it to the end of that school year. I knew the daughter before she came to my class. We had a lot of celebrations of life for her; doing things she enjoyed. Her mother said to me, 'when this is over we're going to get our masters degree.' I agreed and we got our masters degrees in Library Science." "Unfortunately there are so many things in our society that are negative. My goal is to touch children's lives each day. I want to teach students to seek positive through the negative and help them be the best student they can possibly be, not only today but for their future."